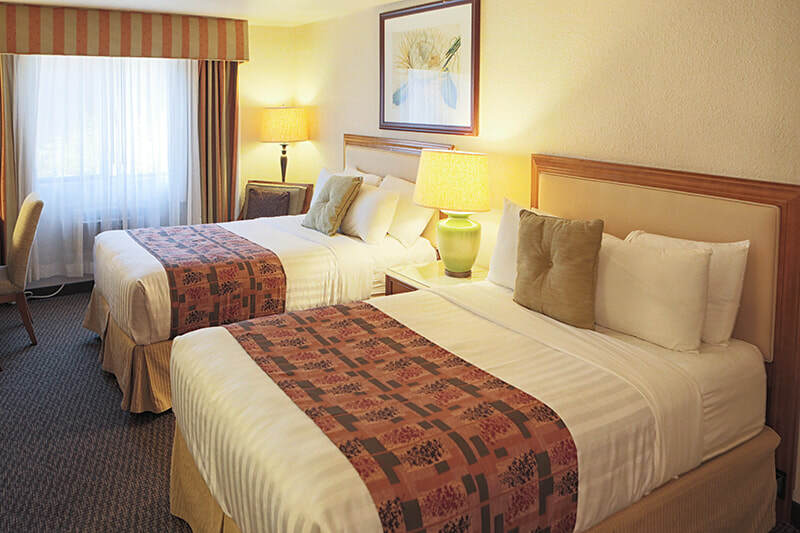 Make yourself at home in our lovely, full-service hotel featuring 124 deluxe guest rooms and onsite accommodations for business and recreational travelers. 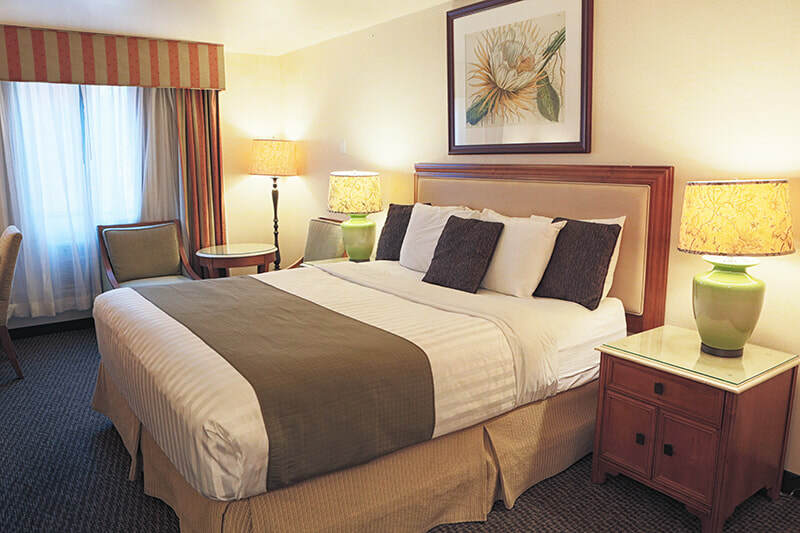 Choose from two double beds or one King, and enjoy FREE high-speed Internet and satellite TV. Each room comes standard with private bathroom, coffee/tea maker, air conditioning and mountain views, as well as access to our laundry facility. Refrigerators provided upon request. Guests also enjoy complimentary access to our Wellness Center, which includes a pool and modern fitness facility. Free shuttle service is provided to the Buffalo Thunder Resort and Downtown Santa Fe. The Cities of Gold Hotel is a full service hotel which includes: 124 deluxe guest rooms, complimentary breakfast buffet, a lounge, free wifi, laundry facility, a business center, and 6,600 square feet of meeting space. Guests have complimentary access to the modern gym and pool, located at the nearby Wellness Center. Free shuttle service is available to the Buffalo Thunder Resort and Downtown Santa Fe. The Cities of Gold Hotel is a full service hotel which includes: 124 deluxe guest rooms, complimentary breakfast buffet, a lounge, free wifi, laundry facility, a business center, and 6,600 square feet of meeting space. Guests have complimentary access to the modern gym and pool, located at the nearby Wellness Center Free shuttle service is available to the Buffalo Thunder Resort and Downtown Santa Fe. These amenities may only be available in some rooms or units. Some amenities include additional fees.